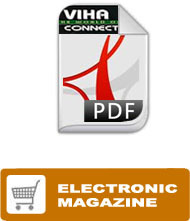 Available in print and electronic download. Full-color cover, 30-40 pages, published every other month. The Viha Connection is created out of our love for Osho. 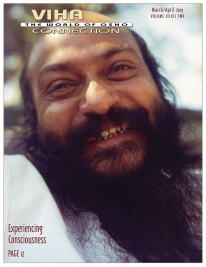 It's a magazine that reveals the inner and outer life of Osho's disciples - His sannyasins. It's a place for stories by and about highly individual people who have lived together in the most provocative, original, on-the-edge communes and communities that have everexisted anywhere. It's a place where sannyasins talk about Osho discourses and how to take what we learn through discipleship and meditation and live it out in the world. It's a place where we not only talk about the exceptional beauty and incomparable experiences of truth and silence on this pathless path, but about the doubts and the wounds as well. • Absorbing, revealing interviews... and much more. 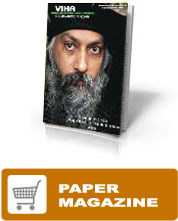 Most issues feature a Special Section that offers an in-depth look at a particular theme - Jealousy, Judgement, Being Total, Enlightenment - with Osho photos and powerful quotes from Osho, who understands deeply the nature of truth as paradox. Full-color cover, 30-40 pages, published every other month. Ad design and production services available. Please contact us for more details and deadlines.